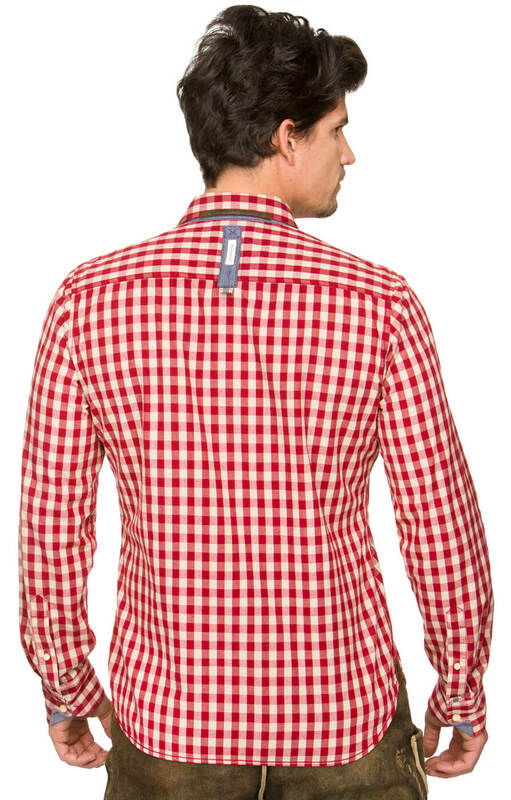 Trachten Shirt Tom in Dark Red. 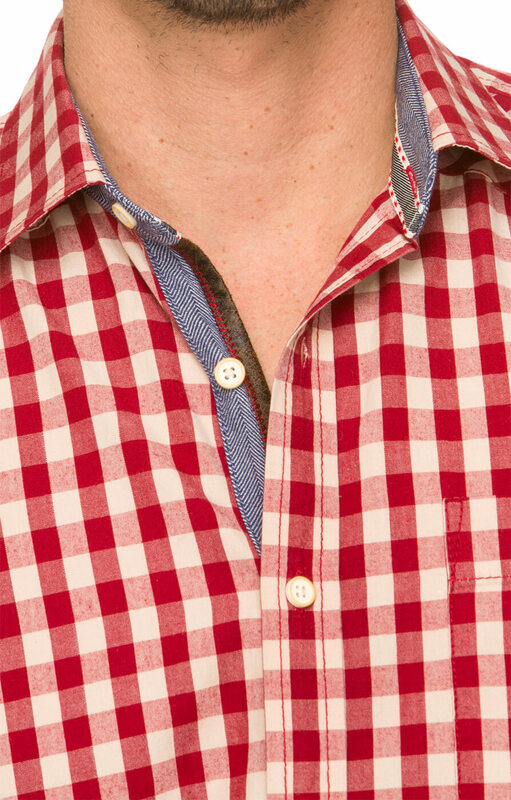 Step out in style wearing one of our great wardrobe essentials. 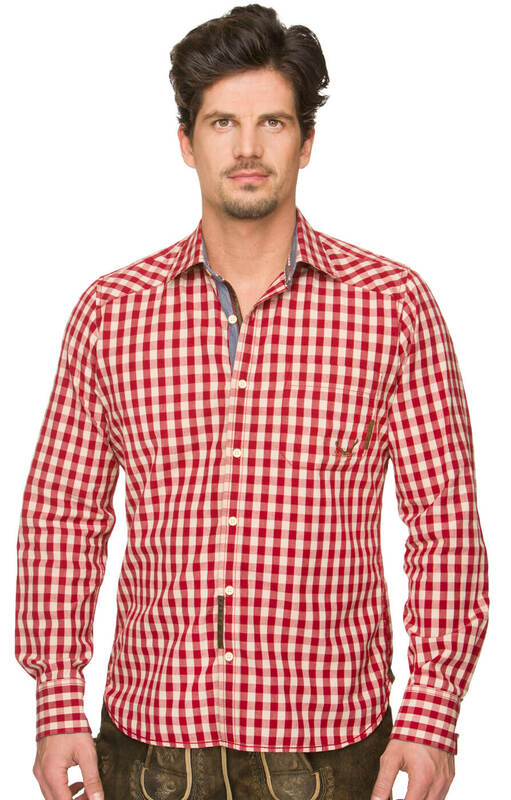 Made from a cotton and polyester blend, the material is light and comfortable. 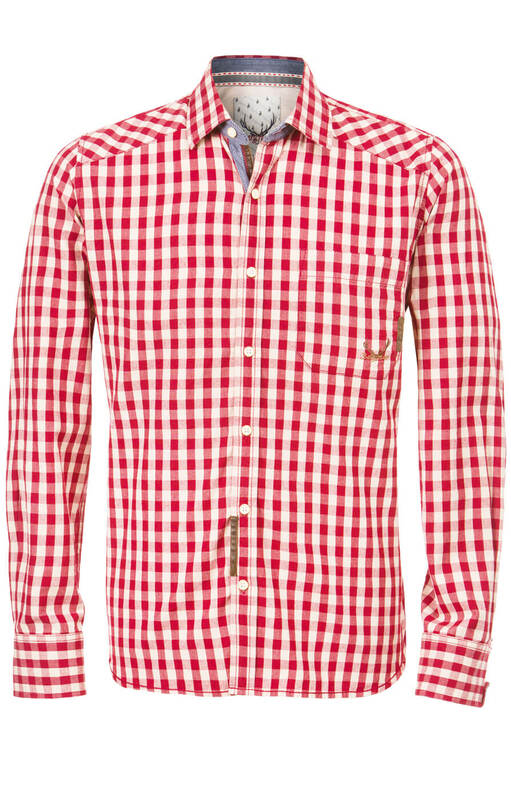 The red and white checks offer a traditional look that will never go out of style and the chest pocket detail adds a certain flair that will not go unnoticed. 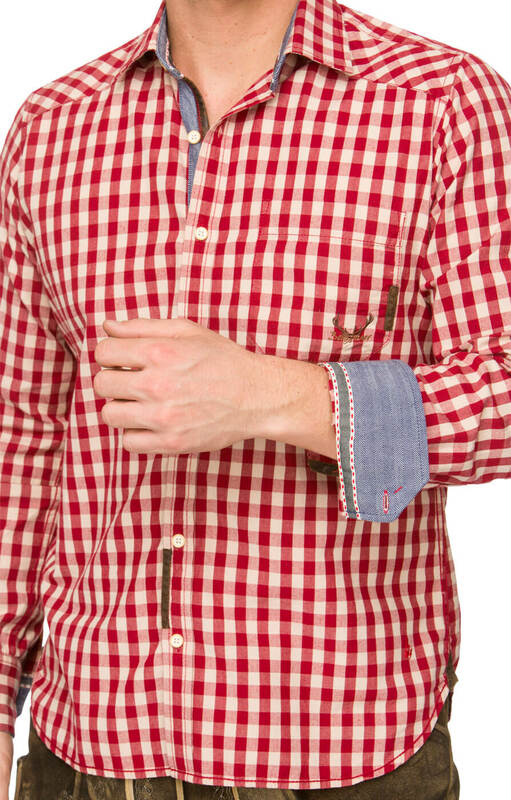 The collar and cuffs feature a strip of red against denim-look fabric that offers a nice contrast of colour. 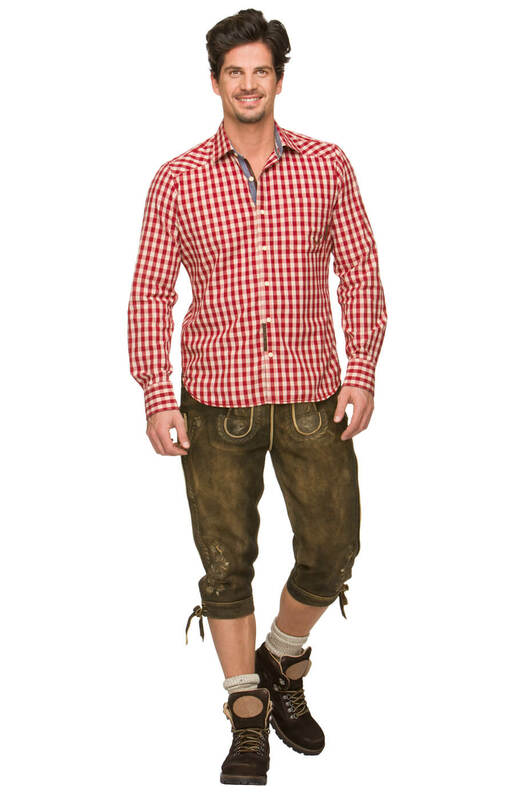 This shirt can be matched perfectly with blue jeans for a rustic look or dressed up with leatherwear for Oktoberfest.